My dear friend M. in New Zealand sent us a package filled with my favorite kiwi junk food and a muttony treat for Pippi. This cute toy is almost as big as she is and now her best buddy. At least when one of us isn’t stealing it from her to use as an awesome pillow. 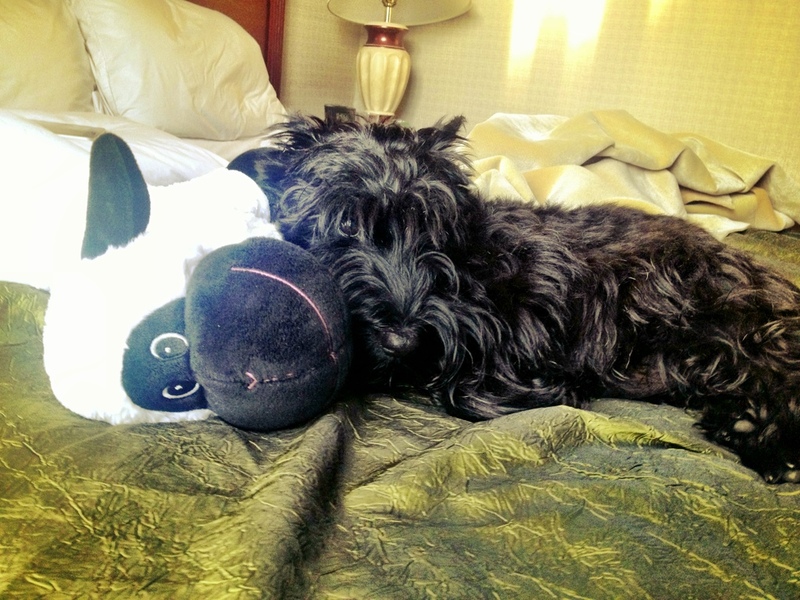 This entry was posted in Pippi and tagged dog toys, Pippi, Scottie dog. Bookmark the permalink. Maggie says hi to Pippi! Awwww! She looks so cute. Sounds like a fantastic parcel. Jake and Albert send their arrroooos!